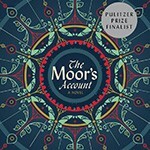 Author Laila Lalami will visit the University campus to discuss her book, The Moor’s Account, this year’s ReadUP book, on Monday, February 15, at 7 p.m., in Buckley Center Auditorium. Lalami is the spring 2016 Schoenfeldt Distinguished Writer, and her talk will be free and open to all. 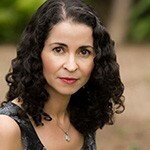 Lalami’s essays and opinion pieces have appeared in the Los Angeles Times, the Washington Post, The Nation, the Guardian, the New York Times, and in many anthologies. 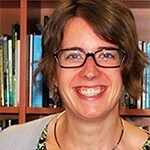 She is currently a professor of creative writing at the University of California at Riverside. The Schoenfeldt Distinguished Writers Series was founded in 1988 by Rev. Arthur Schoenfeldt, C.S.C., of the University’s Holy Cross community, and his sister, University regent Suzanne Schoenfeldt Fields, in honor of their parents. 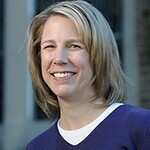 Twice each year (usually in February and October), Schoenfeldt guest writers offer a public reading and also visit students and faculty during their time on The Bluff, especially in literature, science, and journalism classes. For more information contact John Orr, assistant provost, at orr@up.edu. Vision 2020, the University’s new strategic plan, includes a focus on globalization and diversity, with an emphasis on “infusing our entire community with a sense of multi-cultural opportunities and instruction.” To help professors from any discipline hone their culturally responsive teaching skills, a team of faculty representing the School of Education and the College of Arts and Sciences are hosting a reading group to probe practices and strategies, using books purchased with a state grant. 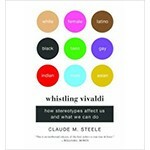 Whistling Vivaldi: How Stereotypes Affect Us and What We Can Do, by Claude Steel, launches the reading group, and the first ten people to respond to this invitation will receive a free copy. Participants will read the first chapter and meet in the Bauccio Commons Teske dining room on Tuesday, February 16, between 12:15 and 1 p.m., for a brown bag lunch and discussion. Group members will choose the follow-up meeting date and time. Seats are quite limited; please RSVP to Sally Hood (hood@up.edu) and with any further questions no later than February 2. The book group is endorsed by the School of Education, Shiley School of Engineering, College of Arts and Sciences, CISGO, and the Teaching & Learning Collaborative. Shamrock Run Time: Support Doernbecher’s! All faculty and staff members are invited to show their UP pride and help support Doernbecher Children’s Hospital by joining the University’s Shamrock Run team. The race is on Sunday, March 13, 2016, at Waterfront Park in downtown Portland. Last year the UP race team was the 14th largest in the event, with 108 runners and walkers. 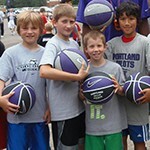 The team also raised $540 for programs within the UP community. 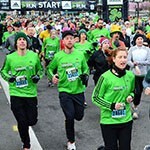 This year’s goal is to make the UP Shamrock Run team 250 people strong. As an added bonus, if at least 75 people join the team, the Shamrock Run will donate $5 per person back to support UP programs. Students, employees, alumni, Holy Cross and friends of the UP community are all welcome to join. Sign up soon; registration closes Sunday, January 31. 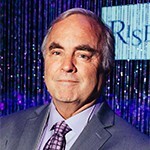 To join the UP team, register online at this link (choose the “team” option; the UP code is 1070). Team members receive a $4 registration discount. Packet pick-up (race t-shirts, pins, and bibs) will be at the Beauchamp Recreation and Wellness Center the week before the race. For more information, contact Liz Winters, recreational services, at evanse@up.edu. 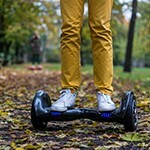 Recent information has revealed that batteries used in hoverboards (also known as Segways, or two-wheel self-propelled scooters) are dangerous and prone to explosion, creating a safety and fire risk, according to Gerald Gregg, public safety. In light of recent fire concerns surrounding hoverboards, the use and possession of hoverboards is prohibited on campus and in all University owned buildings. Those who have purchased hoverboards may be eligible for a full refund due to safety concerns, and should contact retailers for more information. For more information about the UP policy contact public safety at 7161 or publicsafety@up.edu. A collective gasp spread through the campus at the news of John Furey, marketing and communications, retiring at the end of this month. Furey, “the man, the myth, the legend,” has seen the University grow and change over his 19 years on The Bluff. Renowned around campus and beyond as “Everyone’s best friend,” Furey has long been an essential part of the marketing and communications team. His boisterous laugh, his endless amount of yarns and tall tales, and his unwavering love of both the Pilots and the Beavers will be missed. Marketing and communications will host a Farewell Furey party in the Terrace Room on Wednesday, January 27, from 3:30 to 5 p.m. All are welcome to come and wish Furey the very best as he begins this next phase of his epic journey of life. For more information, contact marketing and communications at 7202 or mktg@up.edu. 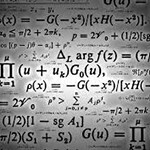 Please join the next Math Colloquium on Monday, January 25, at 4 p.m., in Franz Hall Room 231. Deborah Shutt of the Colorado School of Mines will present “Mathematical Modeling of HIV Dynamics.” Refreshments will be served. For more information contact Carol Bruce at 7166 or bruce@up.edu.